With a new wave of cold weather upon us, a less-than-robust economy and higher energy prices than we've seen in recent years, many Oregonians are wondering how they'll be able to afford to keep their homes warm until spring finally arrives. Fortunately, whether you heat your home with electricity or natural gas, options exist to help you make ends meet during the remainder of the long winter. Both Portland General Electric and NW Natural have programs in place to assist low-income residents in paying their heating bills. PGE, the electric utility that services most of greater Portland and several outlying communities, has an ongoing partnership with Oregon HEAT, a nonprofit organization that provides financial assistance to lower-income households during the winter months. Oregon HEAT, in turn, partners with an assortment of community service agencies to distribute its funds. "We're really hearing a large increase in need for funding for customers to pay their bills," said PGE's Ariana White, "especially given the economic situation. … Fortunately, PGE was able to pull together an extra $25,000 recently to help Oregon HEAT with its efforts." White said that when times are lean, and the weather is cold, paying the heating bill sometimes competes with other necessities like food, housing, transportation and health care costs. "All of these costs have increased across the board, and electricity is only one of those," she said. "When people have to choose between buying groceries and paying the heating bill, that's something that PGE wants to help with." NW Natural, which provides natural gas to the region, has a similar assistance program in place, but it works a little differently than PGE's. Called the Gas Assistance Program, or GAP, the program is supported by donations from NW Natural customers. In the fall, customers received a flier with their gas bills offering them the option of contributing a small amount each month to help those who have trouble paying during the winter. The money is distributed by the United Way and community assistance agencies, with NW Natural picking up the administrative costs, said Valerie White with NW Natural. The company's shareholders have also contributed to the program, she added. "This year, NW Natural has raised $75,000 so far, and we're hoping to raise an addition $100,000," Valerie White said. NW Natural also offers its ratepayers a service called the Equal Pay Program, Valerie White said. Based on a household's average gas usage over a one-year period, the program — available to all ratepayers — breaks a year's worth of gas bills into 12 equal payments. This not only makes it easier to budget every month, but it helps people deal with the inevitable gas bill spikes that come around every winter. "Ultimately, what it does is make your January bill the same as your July bill," Valerie White said. "You're effectively taking 20 to 50 percent off your highest month's heating bill. That makes it a lot more manageable during the winter." If after a year on the program, there's a difference between the average bill payments and the amount of gas actually used, she said, ratepayers will receive either a credit or a bill for the difference. 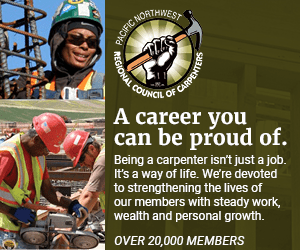 But whether customers use the GAP program or the Equal Pay Program, the important thing is to let NW Natural know if they're having trouble making ends meet. "If you're having a hard time paying your bill, please call us," Valerie White said. "We can help you — you've just got to communicate with us." Both NW Natural and PGE maintain income guidelines that dictate which households are eligible for heating assistance. To learn if you are eligible for help, call PGE at 503-228-6322 or 1-800-542-8818, or visit www.portlandgeneral.com. NW Natural customers can call 503-226-4211 or 1-800-422-4012orvisit www.nwnatural.com.